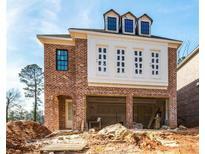 Below you can view all the homes for sale in the Druid Hills subdivision located in Decatur Georgia. 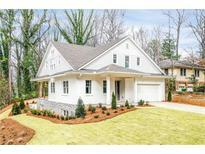 Listings in Druid Hills are updated daily from data we receive from the Atlanta multiple listing service. 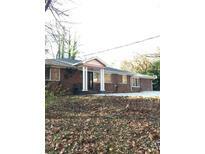 Close To Cdc, Emory, & Downtown Decatur! MLS#6532851. Re/Max Around Atlanta Realty. There'S Even A Professional Quality Basketball Practice Court! Welcome Home~ MLS#6511574. Atlanta Communities. New Construction With Everything Buyers Want, Artfully Designed To Blend With Historic Neighborhood For Modern, Yet Timeless Aesthetic; Open Concept On Main Level Includes Great Room, Kitchen & Dining W/Walk-Out Back Yard On Oversize Lot; Main Floor Also Includes Bed/Bath Suite & Office Plus Fabulous Porch With Verdant Views; Upstairs Level Includes Private Master Retreat, 3 Additional Bedrooms, Each With Private Bath Plus Open Kids Den; Daylight Basement W/Walk-Out Patio Includes Potential For Family/Rec/Media/Exercise Rooms & 6Th Bedroom Suite; Minutes To Emory/Cdc MLS#6508996. Atlanta Fine Homes Sothebys International. Just A Short Walk Away Is The South Peachtree Creek Trail Connecting To Several Path Foundation Parks And Emory University. MLS#6501595. First Guaranty Realty Corp.. Basement Is Large Enough For A Nice Workshop. MLS#6125572. Karafotias Realty Company. Bedrooms 2 Bath. Flat Rear Yd MLS#6103083. Atlanta Fine Homes Sothebys International. Just Minutes Away From Emory, Cdc, And City Of Decatur. MLS#6031135. Palmerhouse Properties.